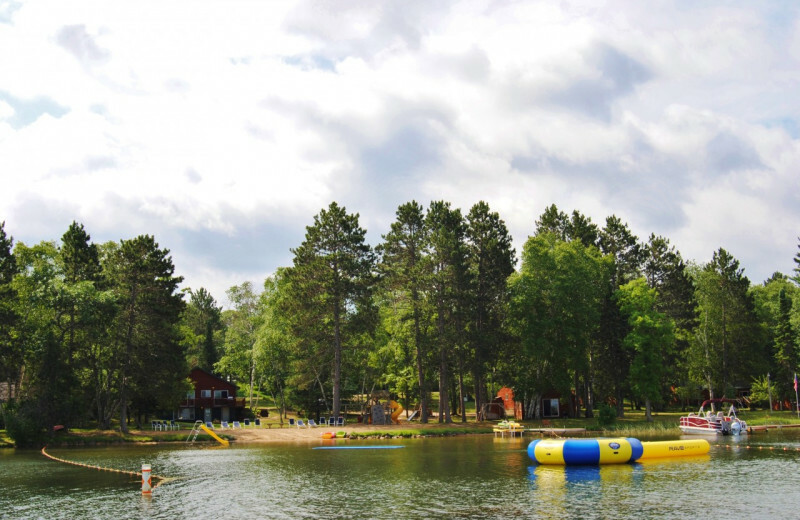 Sandy Pines Resort sits on ten beautiful acres along the Big Portage Chain of Lakes in Backus, Minnesota. 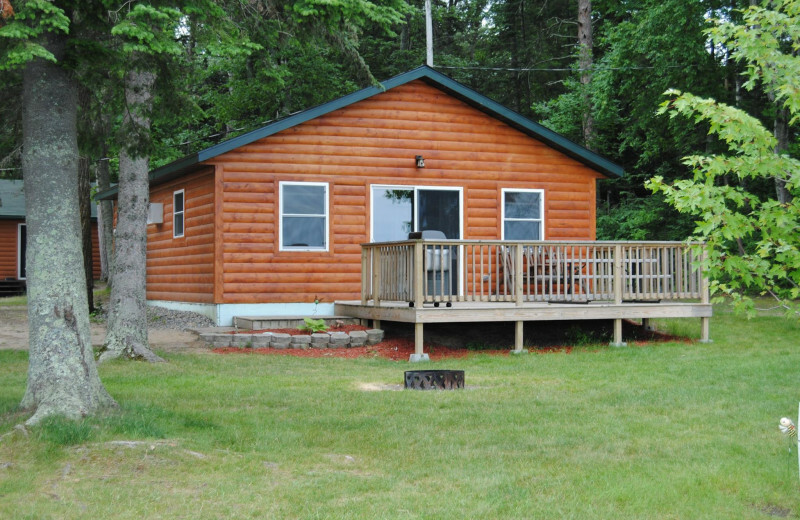 The resort offers new and updated, comfortable and affordable cabins and camping sites that are surrounded by beautiful Northwoods scenery. 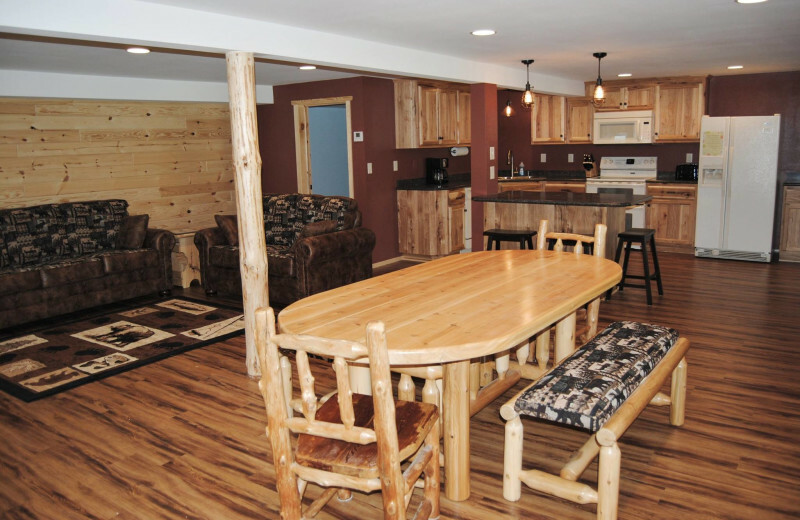 All their cabins are well-spaced throughout eight acres of towering trees and steps away from 900 feet of sandy beach. There is always fun to be had at this Minnesota destination. 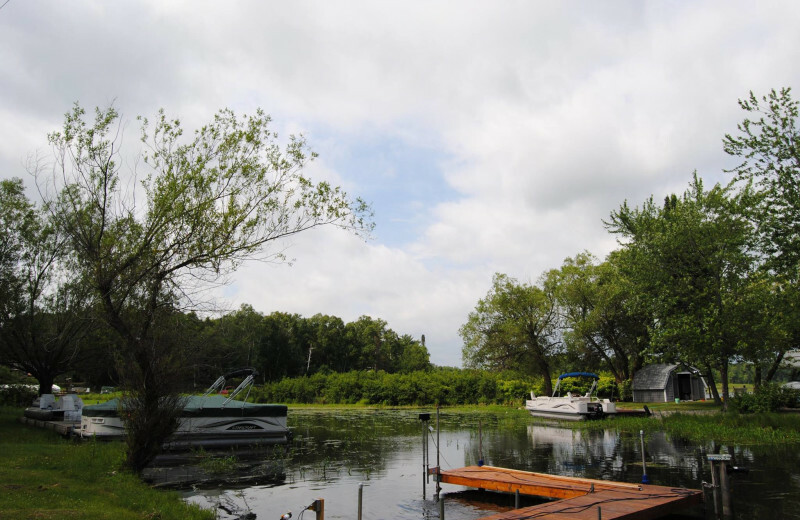 Big Portage Lake is the perfect place for boating and fishing. They have a designated swimming area with water trampoline, slides, obstacle course, paddle boards, paddle boats, kayaks and more. The Paul Bunyan Bike trail is only four miles away. 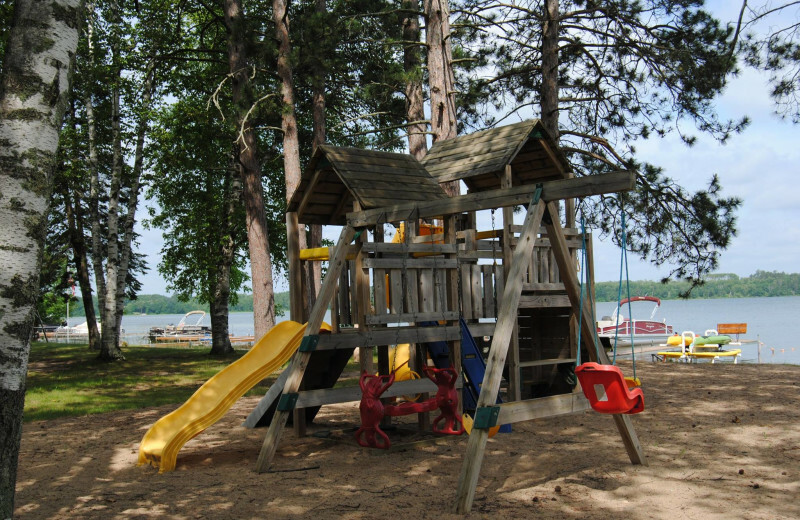 Your kids will love the three outdoor playgrounds, the crystal clear waters, and many water toys! 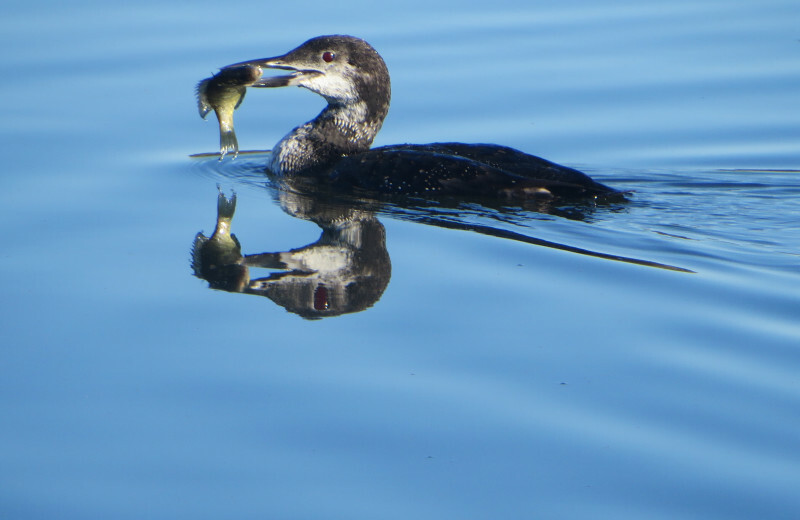 Rent premier pontoons and Lund fishing boats, and stop by the resort store for bait, gas, and other necessities. Onsite you will find private fire rings, grills, picnic tables, and plenty of relaxation to make you feel right at home throughout your stay. 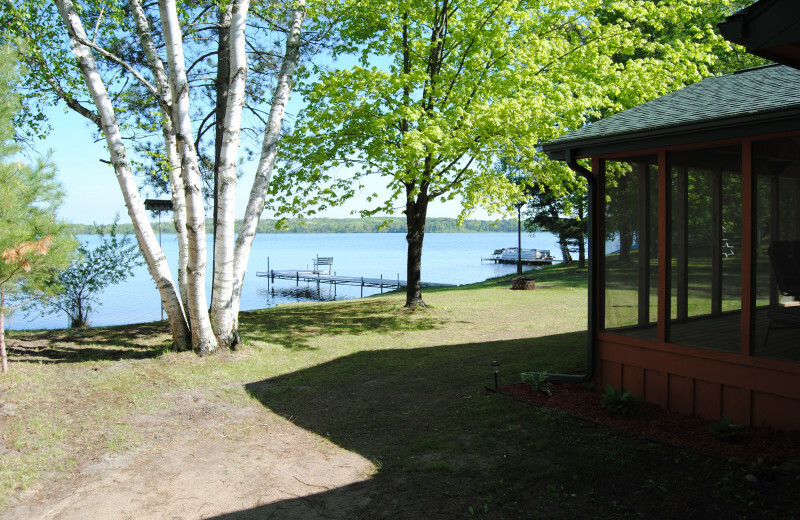 This is everything you're looking for in a True North upscale resort! 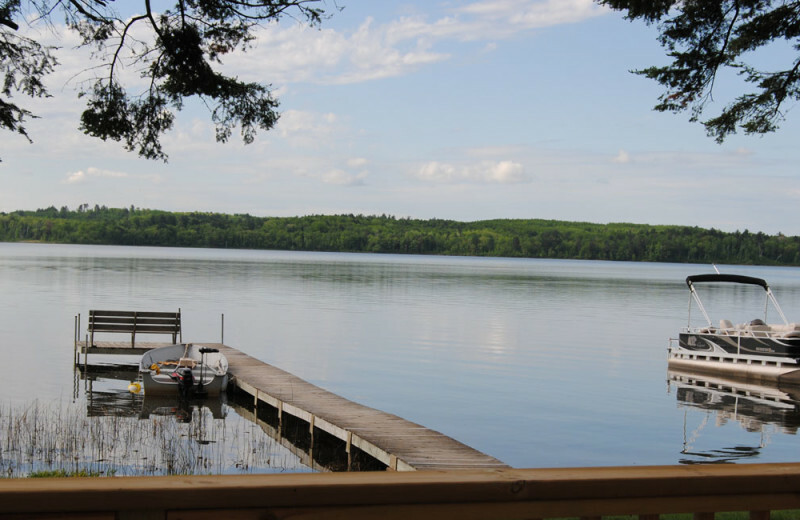 At Sandy Pines Resort you'll find 500 feet of beautiful shoreline on Big Portage Lake! 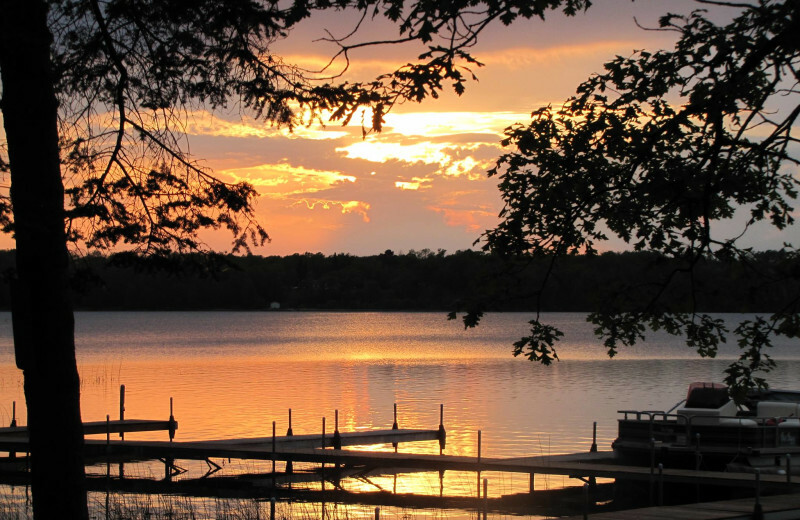 This charming Minnesota destination lets you leave your worries behind and simply unwind on the shores. Enjoy a variety of beach activities, whether it's swimming, fishing, or taking a boat out for a relaxing ride. And if none of that appeals to you, just lounge on the shore under the sun! 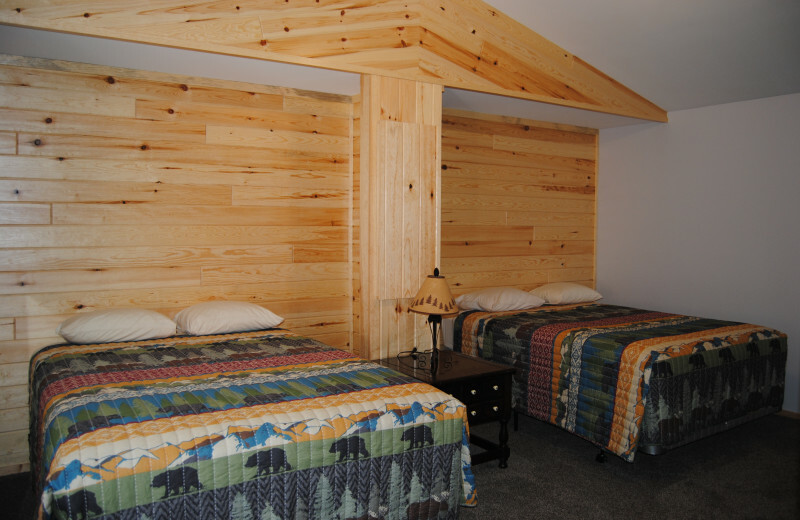 Your family will love staying at Sandy Pines Resort. 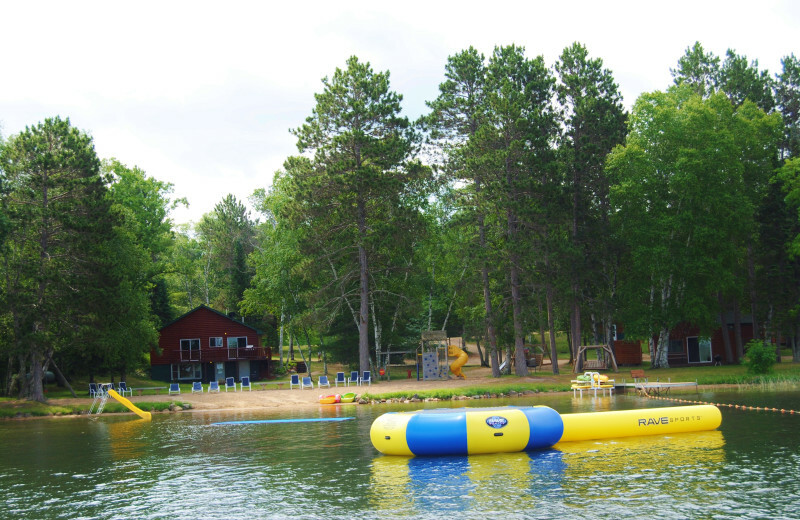 The resort has a pool table, a pinball machine, foosball, and arcade games, plus plenty of outdoor activities to enjoy on Big Portage Lake. 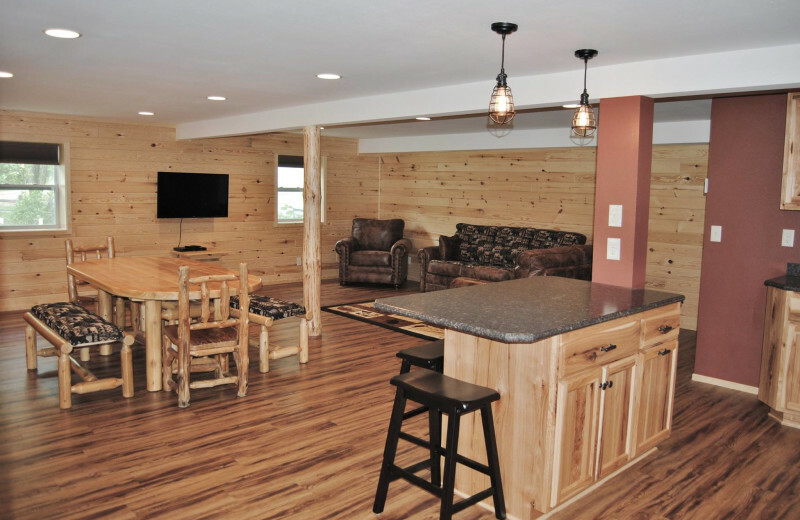 The kids will love splashing in the water or casting their first line on a fishing trip. 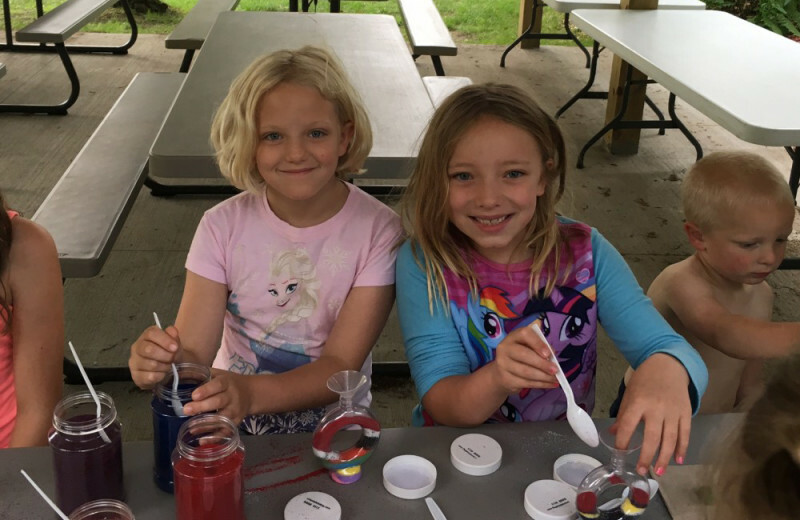 There are also organized kids activities, like weekly treasure hunts! 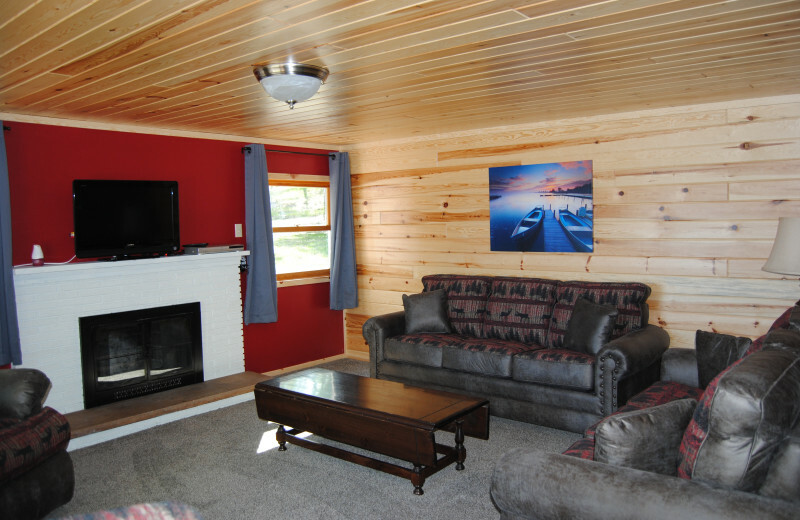 Charming cabins offer all the privacy and comfort you need to unwind after a long day. 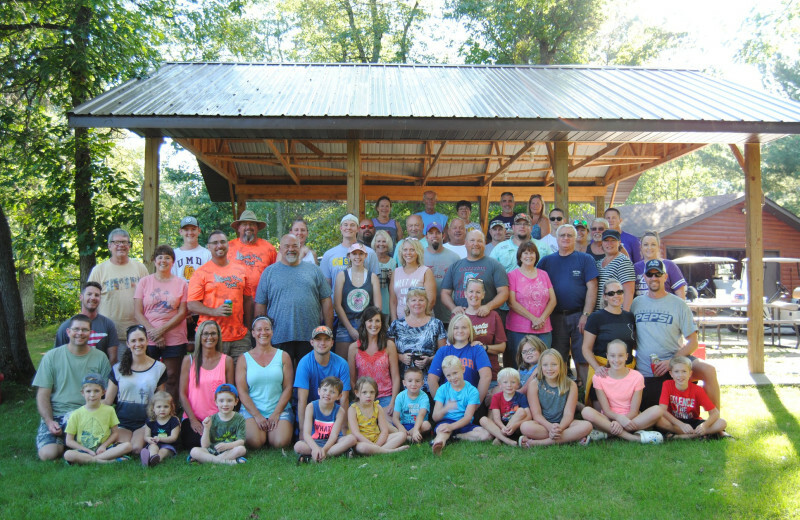 With so many activities for the whole family, Sandy Pines Resort is the perfect place to host your family reunion. 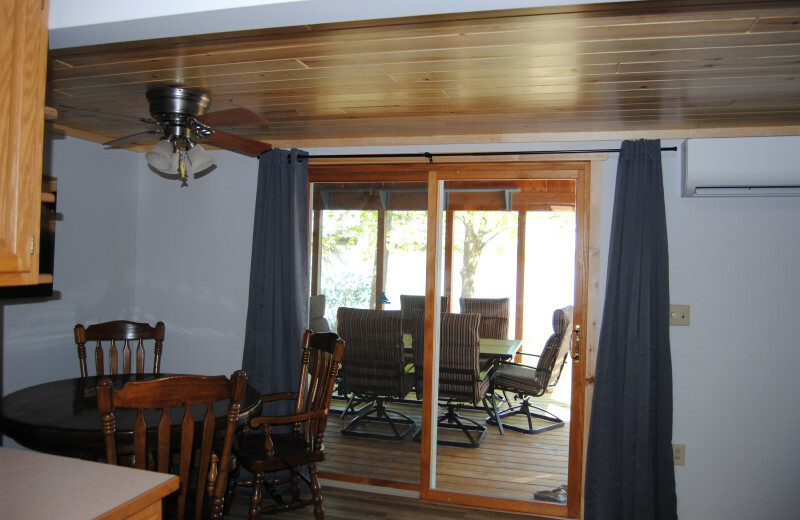 The resort offers large groups the Sugar Pine cabin, which has five bedrooms, two and a half baths, a spacious full kitchen, and a deck that overlooks the lake. 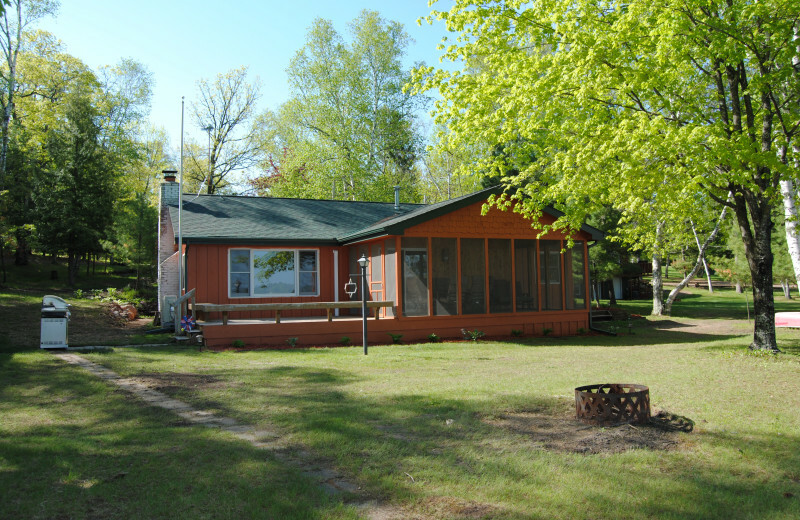 Spend quality time with your loved ones as you fish at Big Portage Lake or indulge in fun games. There's something for everyone here! The Deep Portage Reserve surrounds the resort on its northern shores, providing guests with plenty of opportunity to take in the surrounding wilderness and wildlife. The area is beautiful and tranquil through both the winter and summer months. 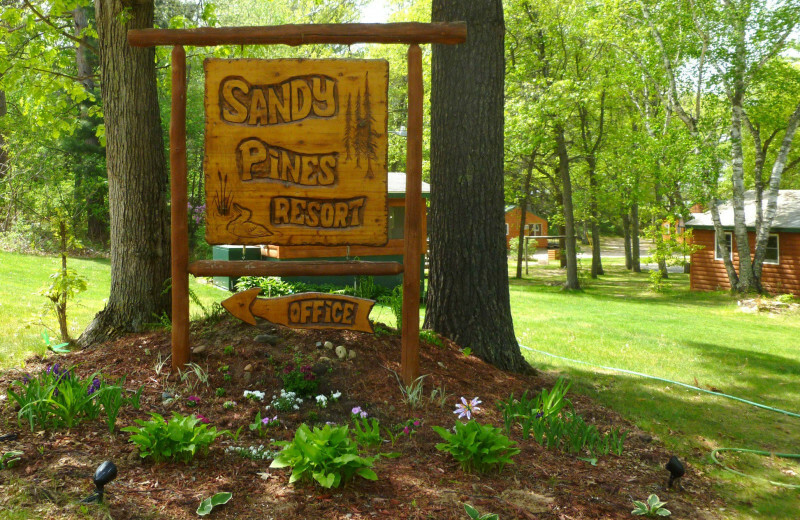 Stay at Sandy Pines Resort and be just minutes away from all the natural surroundings! 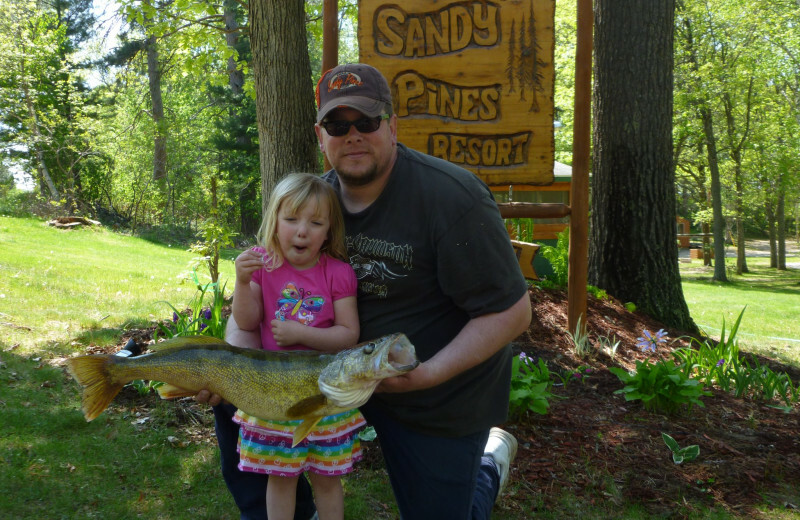 At Sandy Pines Resort you can enjoy endless fishing on Big Portage Lake. 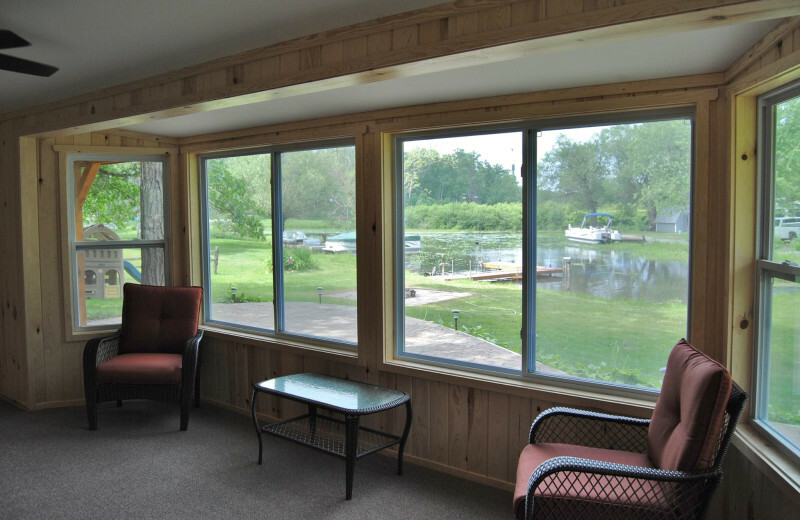 Rent a boat right onsite or bring your own and head out onto the beautiful waters looking for northern pike, largemouth bass, walleye and much more! 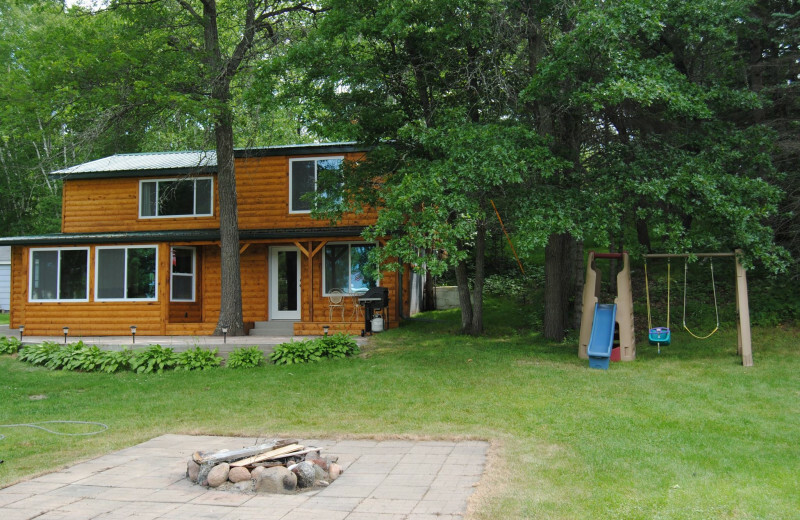 Whether you're a skilled angler or it's your first time casting your line, this is sure to be an unforgettable Minnesota fishing vacation. 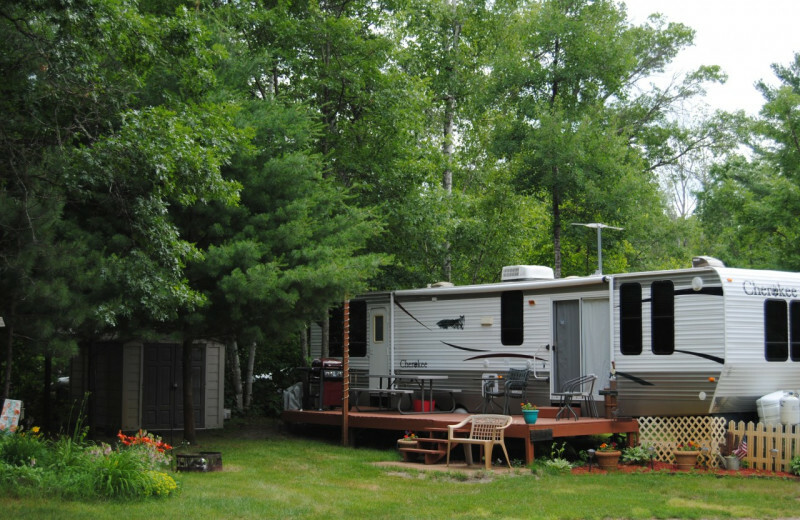 Located on the shores of Big Portage Lake, Sandy Pines Resort is the perfect place to escape to with your sweetheart. 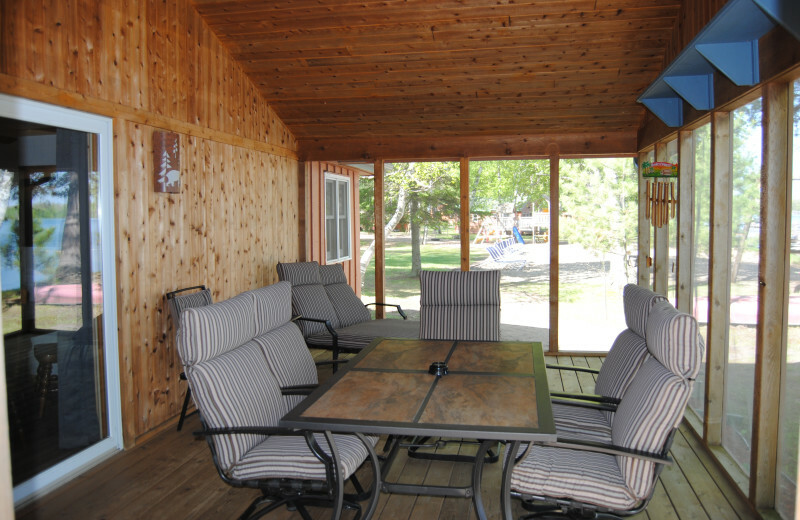 Here, you can simply focus on each other and enjoy the comfort and privacy of your own lakefront cabin. 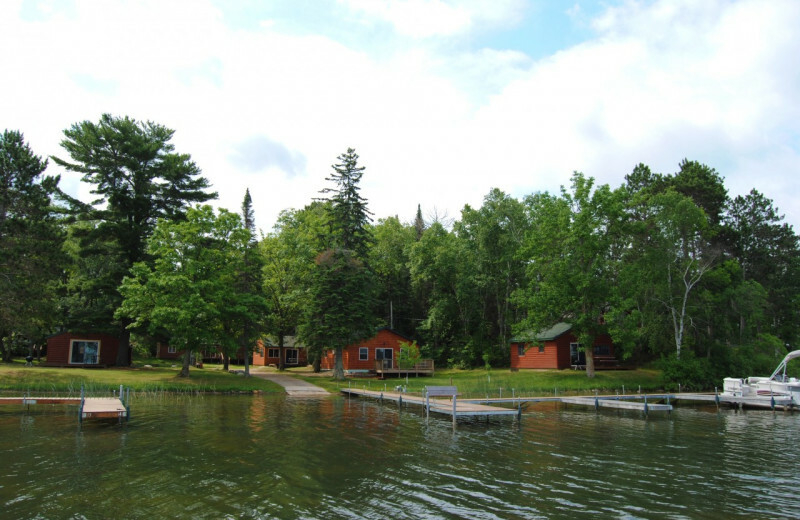 Plenty of outdoor activities are available for you to experience together, whether it's a hike through the surrounding wilderness, or taking a private canoe trip out onto the lake. The calm, natural environment is everything you need for a romantic vacation. 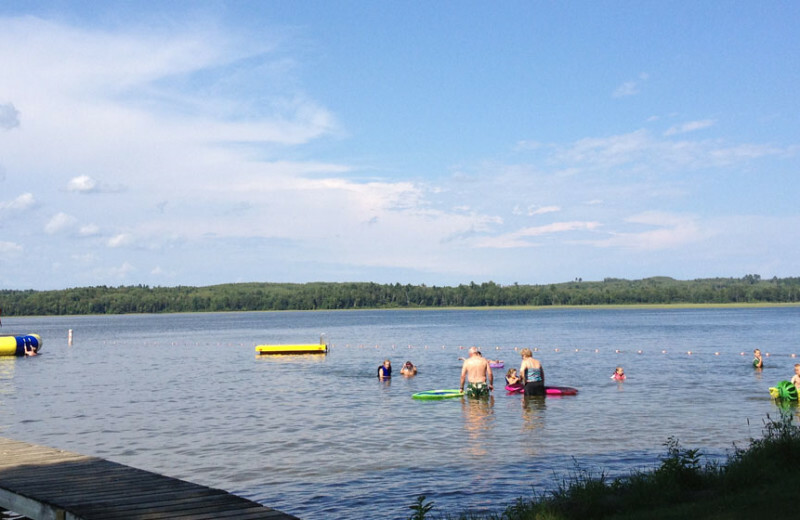 With six different lakes in the area, this Minnesota destination is truly a water lovers paradise. 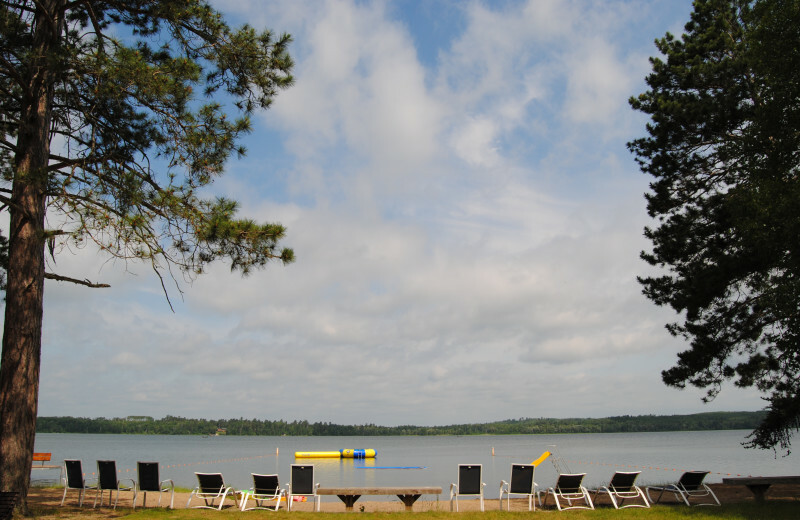 Sandy Pines Resort offers a variety of rentals including pontoons, canoes, kayaks, and paddle boats. There are also boat slips available for guests. 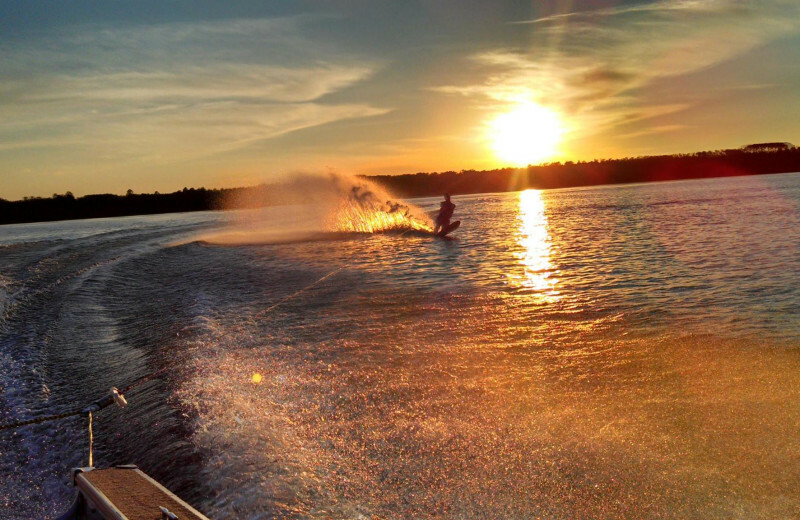 Whether you spend your vacation exploring the gentle waves on a boating trip, casting your line for walleye or bass, or just soaking up the refreshing natural air from the shores, you're sure to enjoy a truly quintessential Minnesota lake vacation. 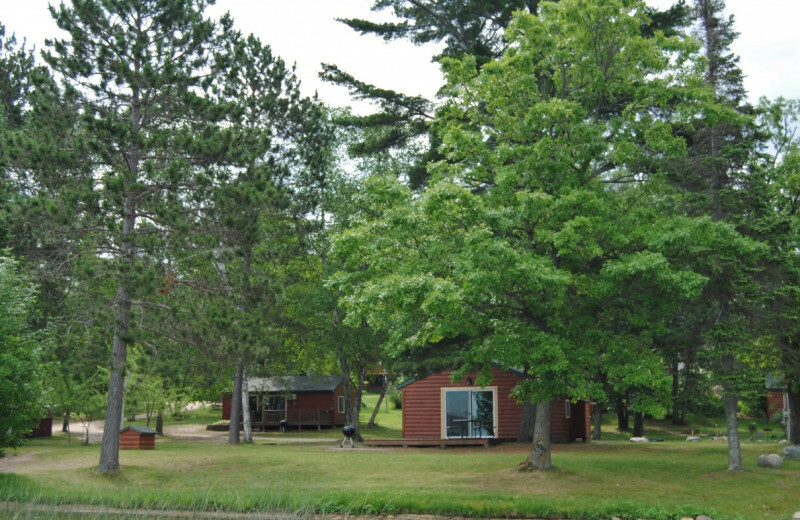 Sandy Pines Resort has 12 cabins and 25 camping sites available for travelers. 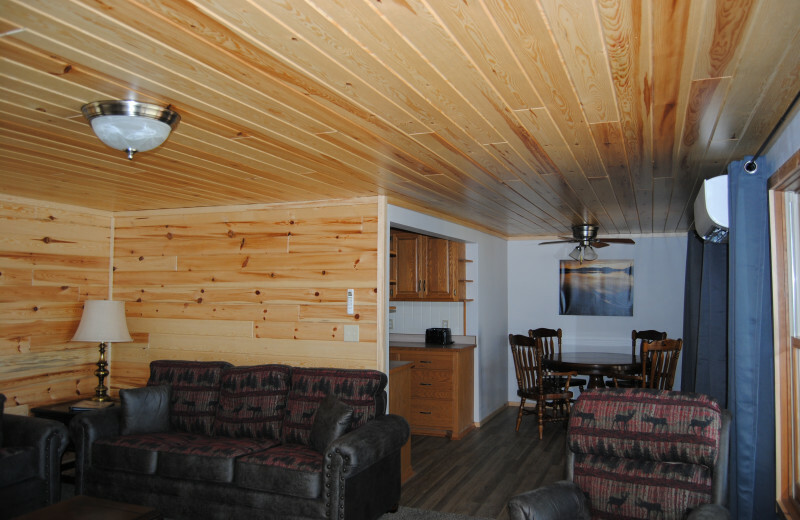 The cabins can accommodate anywhere from four to 18 people comfortably. 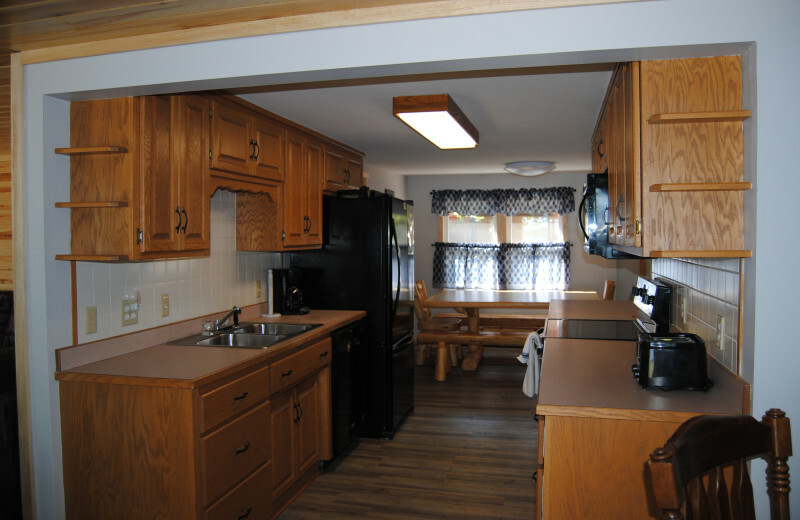 Each cabin features a grill, picnic table, comfortable sleeping quarters, and full kitchen that's perfect for preparing fresh family meals. They're sure to become your perfect home-away-from-home!